Mexico is a significant producer of textiles. With its industry based on competitive labor costs and the geographic proximity it has to the United States, NAFTA agreements make it possible to capitalize on both sectors to create a best-prospect segment for yarn, fabric, and equipment produced by American exporters. 63% of the Mexican apparel industry is concentrated in the northeastern and central portions of the country. This region includes the areas of Mexico City, Puebla, and a majority of the border states of the U.S., representing a total of 1.3% of the GDP. In 2017, the American textile sector exports to Mexico reached $5.99 billion. The imports then totaled $2.5 billion in the same year. 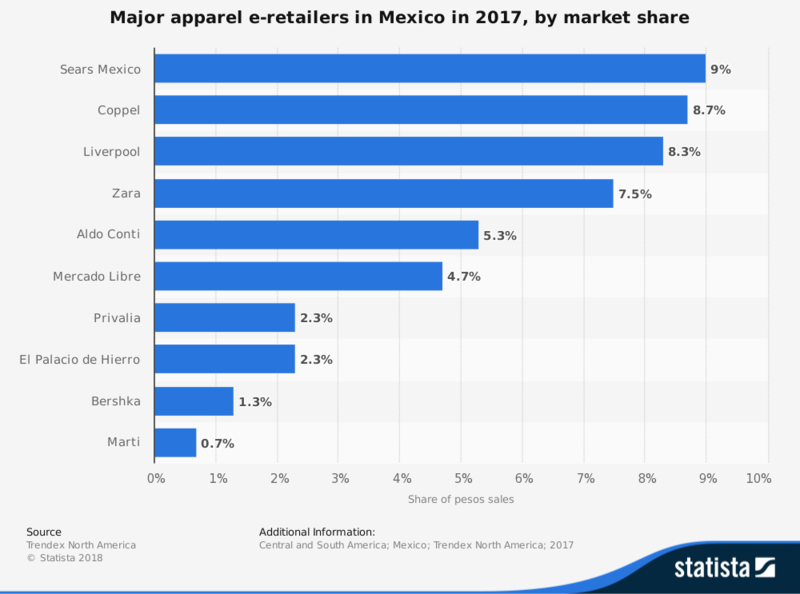 The Mexico apparel industry has benefited in recent years with a reduction of tariffs on its imports from the United States. With new initiatives to strengthen firms that are active, combined with a push to enforce existing tax rules, the many benefits that this country has makes it the top export market for the U.S. in specialty industrial fabrics since 2008. 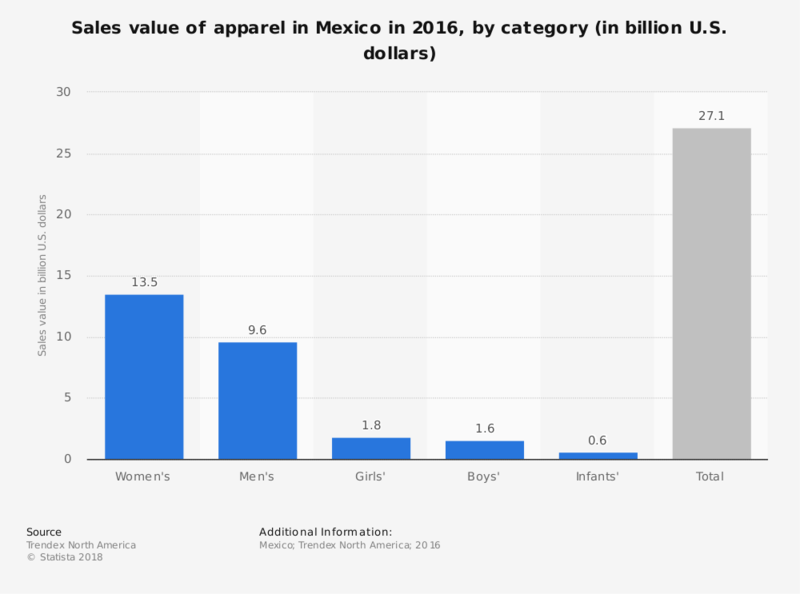 The total value of the Mexico apparel industry in 2018 was approximately $22.08 billion. That was an 8.4% increase over the year before. 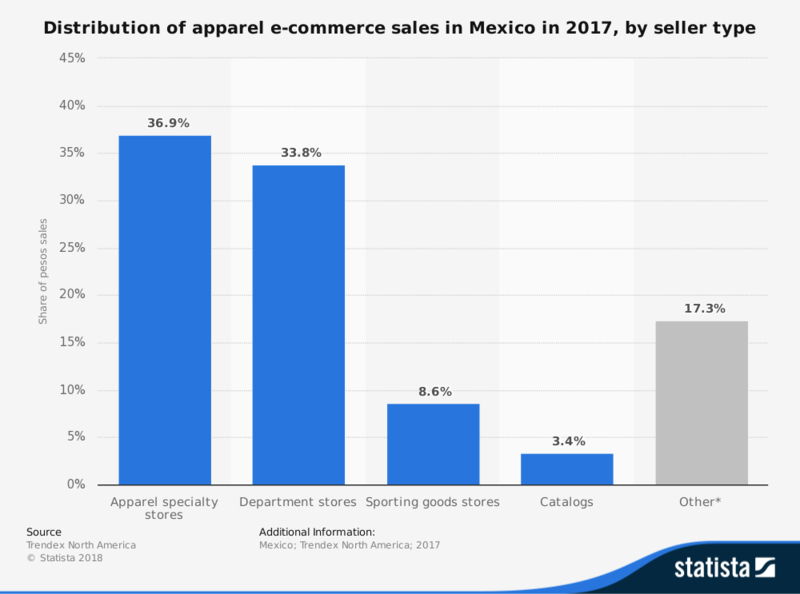 The Mexico apparel industry is expected to continue growing at a 7.5% clip through at least the year 2021. Depending on how economic circumstances pan out with the United States under the reformatted NAFTA deal, this figure could be much higher through 2026 as more trade opportunities occur for the country. There is also a significant risk to consider for this industry. Although compensation rates in Southeast Asia are rising, the minimum wage offered in Bangladesh and India is much lower than what Mexican workers earn for similar work. As the domestic industry continues to grow, international opportunities for exports may shrink as pricing takes Mexico out of the global market. Niche market segments will continue to thrive in Mexico as they do in the United States as the value of items continues to increase. Expect the industry to continue benefiting from a favorable exchange rate with the U.S. dollar, but with most of the influence occurring with their northern border than any other trade partner.